We are looking for an Engineering Manager to build and lead a team of 5-10 engineers with the full responsibility of a product line. You will be in charge of one of our Patient, Doctor or API teams, who are daily building the 1st French ehealth platform - 8.5-million-traffic today - and a software used by more than 60 000 people. You will design and lead the roadmap of your team, as well as define and be accountable for the product vision, closely with the ambitious Product Owner of your team. You will make the team scale and create a fulfilling work environment for each engineer, with one ambition: contribute to build the best software organization in Europe for a better healthcare access for patients, and to transform the daily life of healthcare professionals. Founded in 2013, Doctolib is the fastest growing and largest ehealth startup in Europe. For patients, Doctolib is an online free service which enables them to find a nearby health practitioner, book appointments 24/7 within a few clicks and manage medical bookings. For doctors and hospitals, Doctolib is a software with a full-range of services dedicated to improve their day-to-day organization, develop their practice, build a premium patient experience and allow them to collaborate more easily with referring doctors. We commit to deliver user friendly tools & services with the goal to improve people’s health and quality of life of people working in healthcare. We are particularly focused on building an organisation where people thrive, grow in their careers, and enjoy having high impact through their work. - We collaborate with 28,000 doctors and 750 healthcare facilities including some of the most important hospitals in France (AP-HP) and Germany. We have a team of 40 people. We will double the size of the team by the end of 2018. We are organized in squads and truly believe in development best practices (TDD, code review, pair programming, …). Above all, we keep focus on being customer-centric, to daily bring high value to our customers. - Set a product and technical direction with your team. - Lead engineering team(s) to ship high quality software by a set deadline. - Create, improve and drive operational excellence, quality, security and privacy initiatives across your teams and the entire engineering organisation. - Support an ambitious group of engineers in their career goals. - Be actively involved in hiring and growing our engineering team. - Participate in regular meetings with the rest of the engineering management team to align Doctolib’s engineering-wide priorities. - Participate in building Doctolib’s reputation for excellence in Tech, by sharing what we do in industry events and other events. - You have a strong leadership and trackrecord in hiring, coaching and developing engineering teams (at least 5 people) in a challenging environment. New managers are grown through our engineering team, so external leaders must have hands-on experience of people management. - You care about agility as much you care for scalability and availability. Continuous deployment keeps us focused on incremental releases. Even our biggest technical achievements roll out piece by piece, feature flagged out of sight. Projects are kept short and tightly scoped. Teams build a weekly cadence of releases. - You have deep knowledge of a web framework, but it does not need to be ruby on rails! Great people are effective and learn what we use quickly (or introduce us to better ways of working). - You have already handled several large scale projects with multiple cross- team dependencies and interactions. - You are pragmatic and have strong organizational skills. - You are customer-centric, willing to daily improve customer use. Doctolib guarantees equal opportunities to all candidates. Each application received is put into consideration regardless of ethnic and racial origin, opinions, beliefs, gender, sexual orientation, health or handicap. Macbook or PC : your choice ! 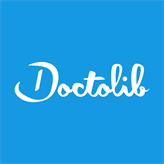 Want to get notified about new jobs at Doctolib?